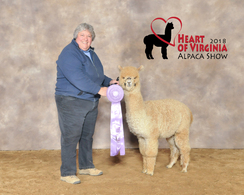 We knew that Dante was the best of our fabulous group of 7 Spring crias and the judge's comments at his first show reinforced our opinion. "A lovely fleece" . 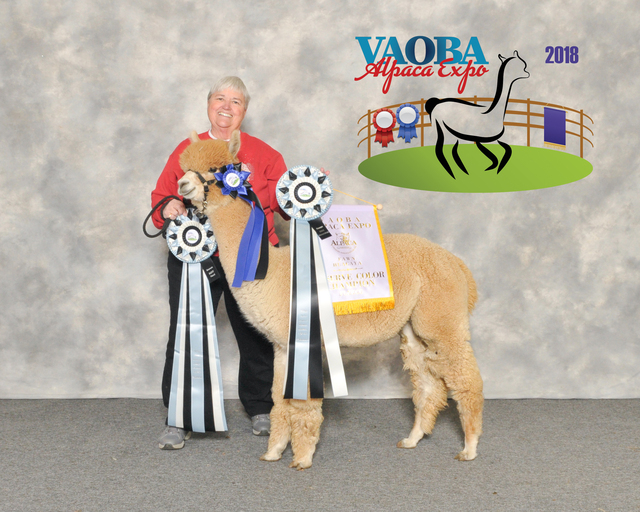 Next, in a super competitive class at Southern Select, Judge Jude Anderson described him as having "very fine, dense fleece with soft handle." 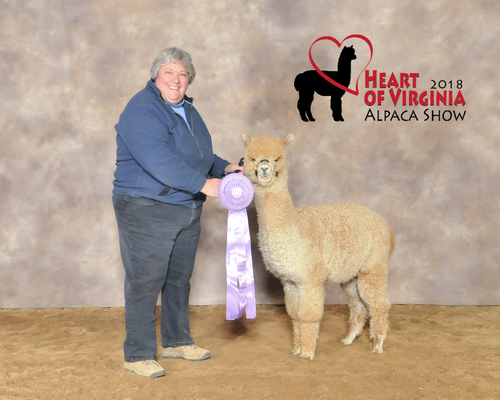 Then, at CABO, Judge Amanda Vandenbosch said "he's got attitude, 'look at me', soft handling fiber, with long staple and dense". 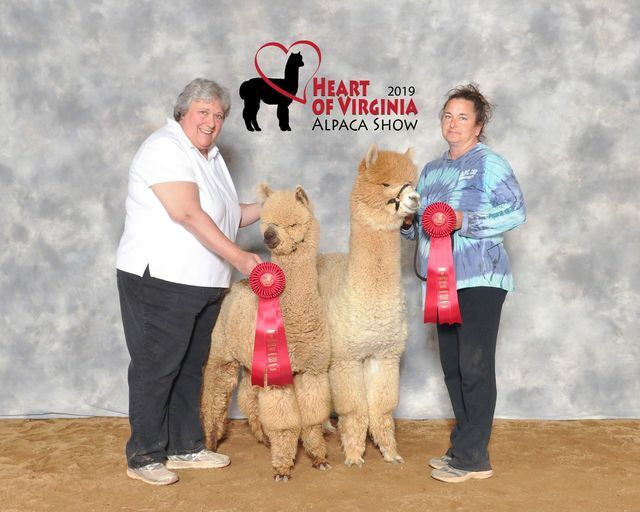 At the Heart of Virginia show, Dante jumped to the top, taking a first in the juvenile class and then taking Reserve Champion in the Fawn classes. 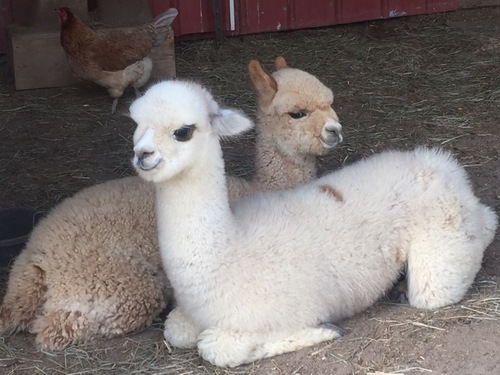 This herdsire-to-be just keeps getting better and better! 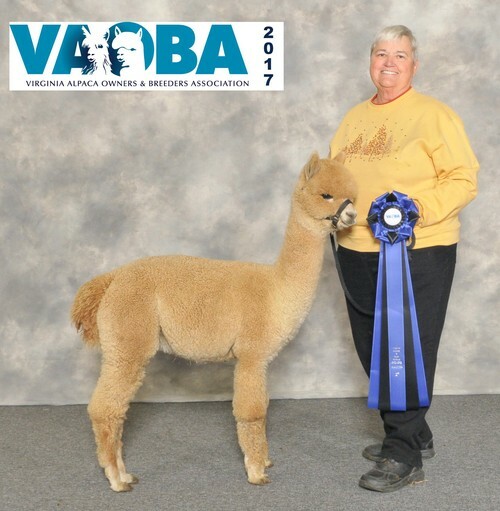 At the VAOBA show in December 2018, Dante held his own in a very large and competitive halter class with a 3rd and in walking fleece took a 2nd of 9 in an equally competitive class of fawns. He really shown in the fleece competitions: took Reserve Champion in the fleece show as well as winning the highly coveted special awards for 'Best Hand' and 'Best Brightness' of all entries in the show. The announcer was getting tired of announcing his name! Add this up and coming herdsire to your herd NOW before he adds more banners to his accolades and we have to raise his price!